Trade.io has announced on their website that they will be partnering up with Simplex, a payment processing company. 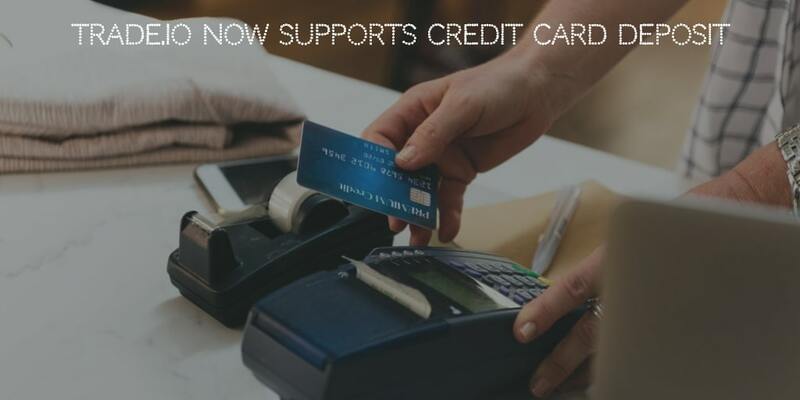 This new partnership will help trade.io clients purchase one of the several listed cryptocurrencies with either credit or debit card. Simplex says that they process credit card payments with a 100% zero fraud guarantee. In case of a chargeback, Simplex will pay their client or merchant. Their proprietary AI technology stops fraudulent transactions and allows legitimate ones to complete payments. Chief Executive Officer (CEO )of trade.io, William B. Heyn, commented: "It’s no secret that newcomers to crypto are hindered by complicated onboarding processes; we endeavour to reduce barriers and responsibly provide access to the crypto world"
The move has arguably demonstrated that their partnership will result in a safe and secure framework using which clients of trade.io can easily and conveniently invest in the crypto market. The partnership with Simplex, a leading EU-licensed payment services provider, will surely give them the heads up to resolve any complicated issues which might have been approved making it a one-stop-shop to work with cryptocurrencies. Initially, it is possible to purchase Bitcoin (BTC), Ethereum (ETH), Litecoin(LTC), and Bitcoin Cash (BCH) with USD or EUR. The announcement also noted that more coins and currencies will be added for purchase at a later stage on trade.io.